PROJECT: NEW BUILD ORANGERY IN CHORLEYWOOD, HERTS. The property was detached with an “L” shaped rear elevation which lended itself naturally to an outdoor patio area. 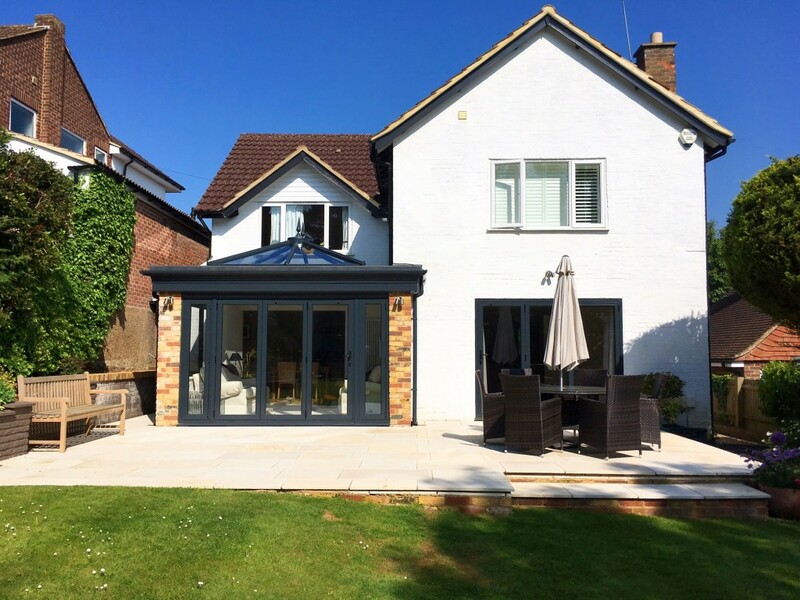 With such a long garden, our customer decided to extend the patio area to cover the entire rear of the property, to build an orangery in the area currently used as a patio, and to open up the back of the house with bifold doors. This would give a much larger patio area, ideal for entertaining and enjoying the garden. 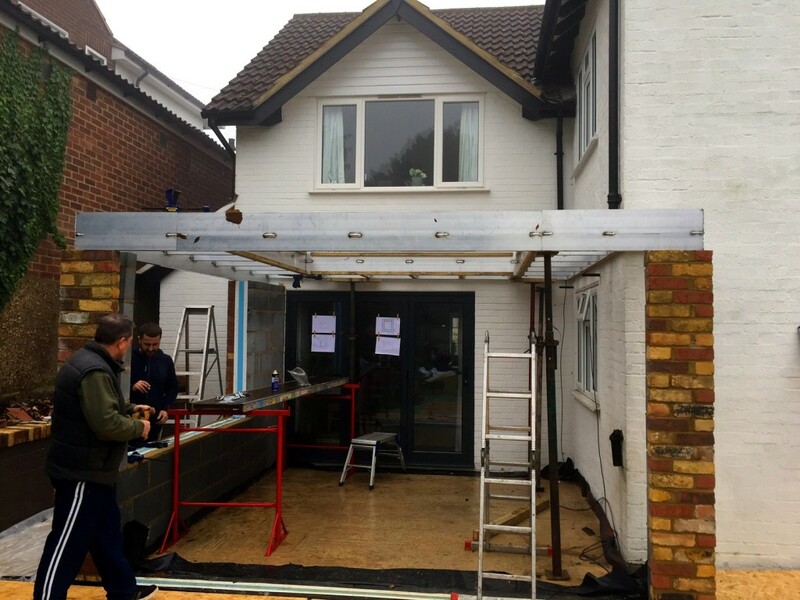 Early days – the orangery begins to take shape. 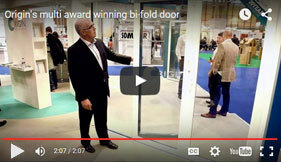 Previously we had installed bifold doors into the rear of the house onto the patio area. As they were fitted fairly recently, we decided to re-use these doors in the new orangery installation. We could increase the width of the glass area by adding side panels at either end. 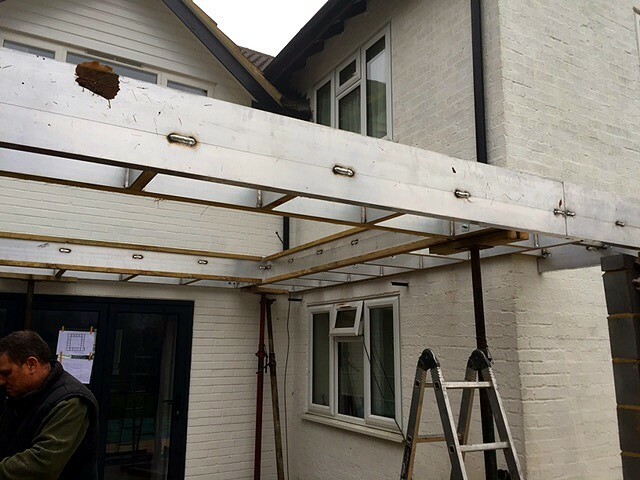 The basic structure for the new orangery is bolted into position. 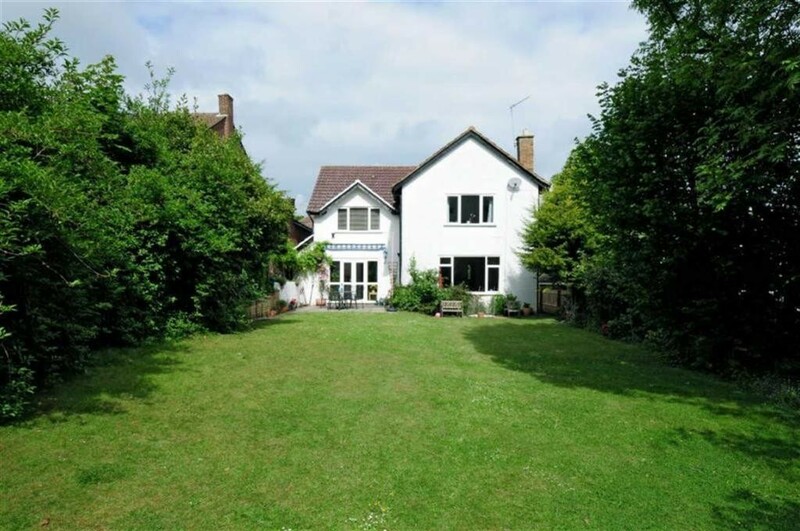 The perfect summer entertaining area, and ideal for enjoying your garden all year round. The main structure is now pretty much complete. 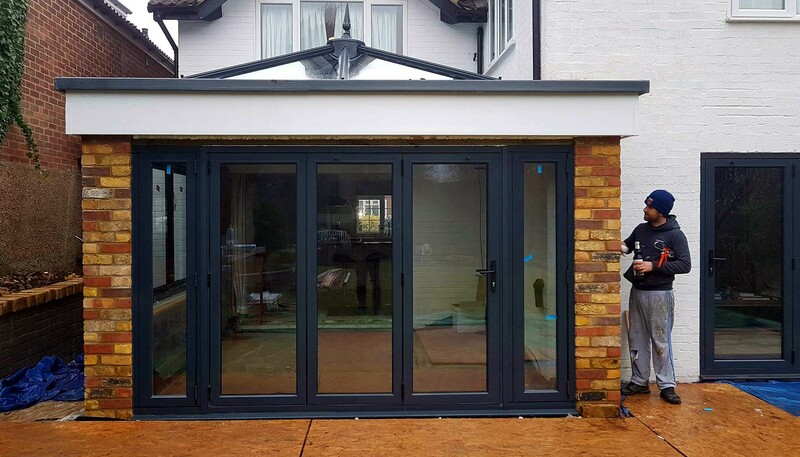 The existing bifold doors have been refitted into the orangery complete with side panels to extend the glass area. The rear window has been removed and the brickwork removed and a new matching Origin 3-panel bifold door installed, completely opening up the rear of the house. The patio is now paved and the orangery completed. 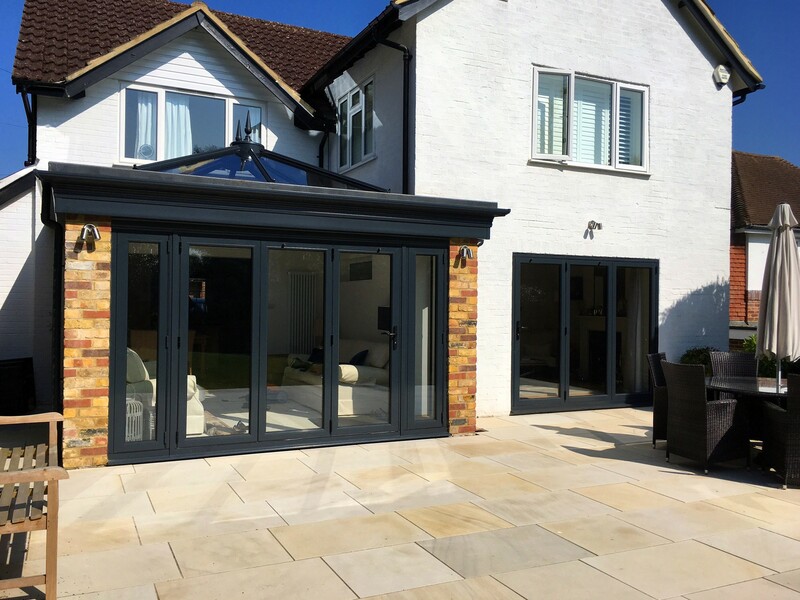 You can see what a difference it has made to the home – the two pairs of bifold doors will allow the customer to completely open up the rear of the property and the extended patio area is perfect for socialising and enjoying the garden. We think it looks fab! Copyright Harp Windows (Watford) Ltd.